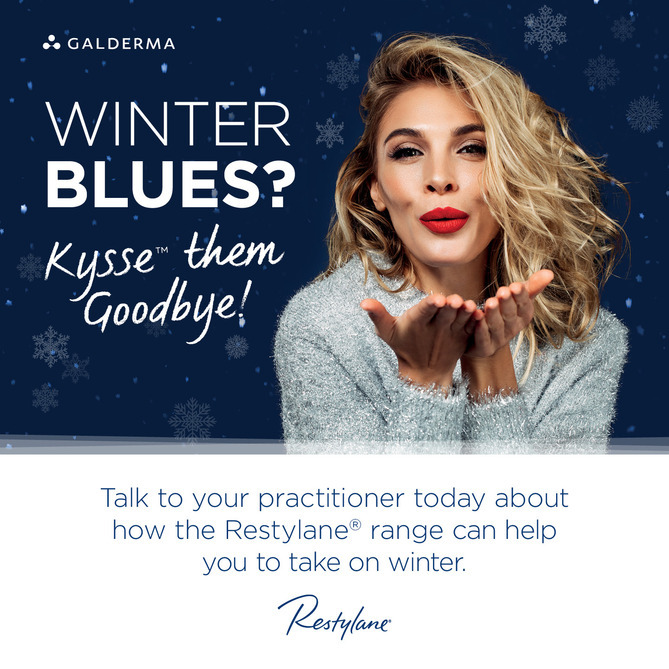 Pharmaceutical company Galderma has launched a new dermal filler winter marketing campaign to support its customers in promoting their business in the run-up to the festive period. The ‘Your Little Winter Helper’ campaign includes branded visuals, video GIFs and messaging that highlights the versatility of dermal fillers and skinboosters. According to Galderma, customers will be provided with vibrant, easy-to-use materials that have been designed with patients in mind and can be used on Facebook, Instagram and Twitter, as well as on a clinic’s website and in clinic. To help customers promote their clinic open day events, Galderma has also created a series of non-branded materials that can be tailored for individual use. Materials include invitations, messaging and promotional social media images. Aesthetic reconstructive oculoplastic surgeon, Miss Sabrina Shah-Desai, director of Perfect Eyes UK, said she is looking forward to utilising the ‘Your Little Winter Helper’ campaign materials to help her market to a wide range of patients. “During the winter months, people often come to my clinic with skin that is dry and lacklustre and want a treatment that will refresh their skin ahead of the festive party season. More and more men are turning to dermal fillers too and what’s great about the Galderma campaign is that it includes images which will appeal to both men and women, so I can select the right image and channel for each target audience,” she said.